Barrie Seviour Transport Ltd was established in September 2014 as a small company in the South- West of England. 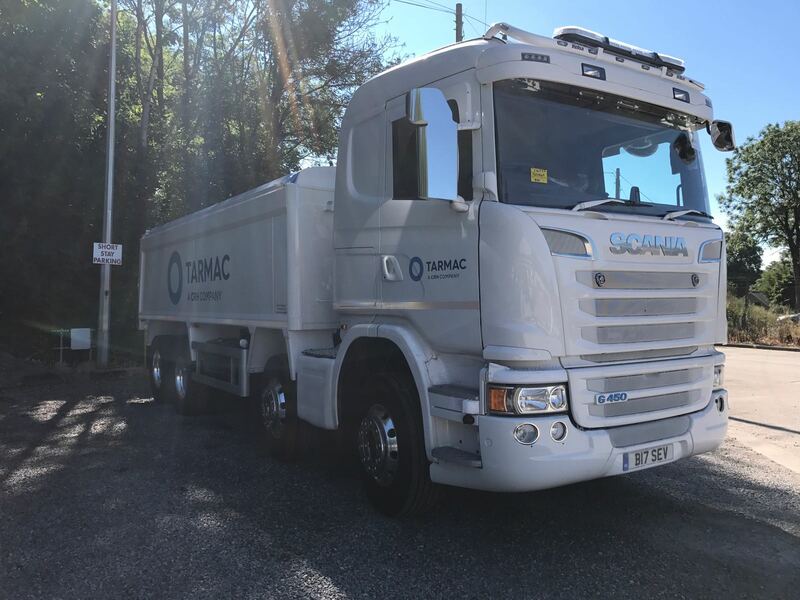 I, Barrie Seviour, haul tarmac and stone out of a local quarry in Somerset as a sub contractor for Tarmac Trading Ltd and we supply to the south- west region. I first achieved Bronze FORS status in March 2015 and have progressed on to achieve Silver FORS, twice, and Gold FORS, once. Since starting out I have upgraded my vehicle from a 61 plate Volvo tipper to a brand new Scania tipper on a 17 plate. In 2018 as a company we have been focusing on the environment and our employee’s well being through reducing fuel use, lowering NOx and emissions and reducing idling times. I first heard about FORS through Tarmac Trading Ltd and they suggested that we looked into achieving Bronze FORS status. We could quickly see the benefits of achieving it and progressed on to Silver and Gold. The first Bronze audit allowed us to really think hard about what sort of company we would like to run and how we could get the best out of our vehicles and employees. Our main focus since achieving Gold for the first time in January 2018 was how we could reduce fuel use and idling times. Myself and my employee have been working hard to achieve this. We researched on the internet and read about ways to do this on the FORS website and used this information to form a plan and a new policy about reducing idling times. We have both benefitted from the wealth of information we have access to through running a FORS accredited company. In 2018 we have both completed several Elearning courses through the FORS website. These have been very beneficial to supporting the effective running of the company. We have been also been concentrating on maintaining our 100% record of no incidents or PCNs in the company. Our MPG has also been reduced significantly during 2017 and 2018 with the introduction of a newer lorry with a Euro 6 engine. *Annual improvement in MPG and Incidents per 100,000 Kms. During this year we have reviewed all our policies and risk assessments, these include terror related incidents and reducing idling times. Next year I will be updating my vehicle to a new generation Scania. This vehicle will have better fuel consumption, better stop/ start technology and all the other latest technology. 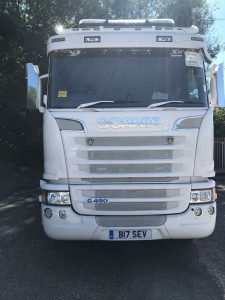 When we employ a driver we ensure that a full health and fitness review is conducted so that we can be sure that the driver is supported with any underlying medical conditions and that they fit to do the job that is required of them. In conclusion, I am still really proud to be the first tipper company in the Mendips to achieve the Silver FORS accreditation in June 2016 and with the help of FORS have become a more safer and efficiently run company. Our journey as a company will continue into 2019 with the arrival of a new more efficiant vehicle. I will be working towards renewing my Silver FORS in June 2019 and Bronze FORS in March 2020. My focus in 2019 is to continue to reduce idling times, to become even more fuel efficient and to promote FORS to other road users so they can have the benefits I have. Please view, like and share the facebook page Barrie Seviour Transport Ltd.